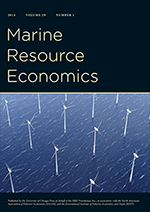 Environmental Economics: Nordhaus wins "AERE Nobel"
Every year the Association of Environmental and Resource Economists (AERE) presents the Publication of Enduring Quality Award at the annual AERE luncheon and business meeting during the ASSA meetings. 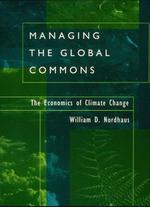 The 2005 award went to William D. Nordhaus for Managing the Global Commons: The Economics of Climate Change (Cambridge, MA, MIT Press, 1994). While slightly less prestigious that the Nobel Prize in Economics, the AERE award is a big deal within the environmental economics community. Past winners can be found here. Also announced at the luncheon was the first class of AERE Fellows. Nordhaus has been writing on climate change since the 1970s. There isn't a single publication that you can point to as being his definitive work in this area. But in this publication he pulled together everything he had done to answer the question, What should we do about this problem? He uses an optimal growth framework, which is appropriate because climate change is not a small project (if it were, cost-benefit analysis would suffice), and he estimates key parameters and he comes up with answers to this question. Many people have been critical of Nordhaus's work in this area, but he definitely developed the central framework for understanding this very complicated but important problem. He developed a wonderful model and produced results that are the benchmark for this entire field. His model incorporated major climate relations, and so was broadly consistent with atmospheric science. He has been able to run loads of simulations from this model, addressing the importance of key parameters like discounting and key uncertainties like abrupt climate change. And he has made his model available to others, so that they could use it, and change it, as they wanted. This has been a huge service to the profession broadly. And it has helped make our field relevant to this discussion. According to the SSCI, this publication was cited 228 times since 1999.